The Soay Sheep is a descendent of a wild group of sheep from the Island of Soay in the St. Kilda Archipelago in Western Scotland. It is much smaller than the modern domestic sheep, hardier, and extraordinarily agile. 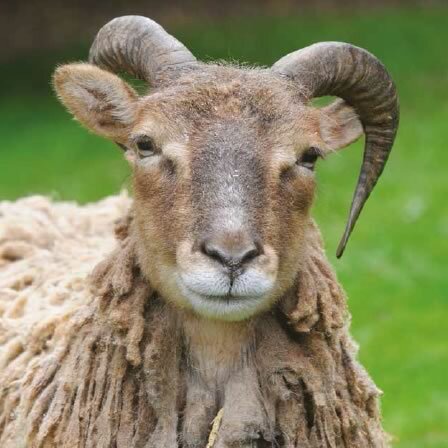 In the early 20th century flocks of Soay were relocated to establish exotic flocks, such as the ‘Park Soay’ at Woburn Abbey. The breed is listed as ‘At Risk’ with between only 900-1500 breeding ewes in the UK. The meat from Soay is much leaner, tenderer and lower in cholestrol than normal domestic sheep and has a stronger and ‘gamier’ taste.